With a super-mild climate, limitless fresh air, invigorating walks and smashing scenery in every direction (the whole place is a designated Area of Outstanding Natural Beauty) Scilly is a ‘must do’ location, and for birders there is simply no better place to go birding in Britain in Autumn. 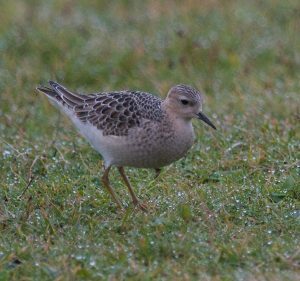 Lying 28 miles southwest of Lands End, with no further land until America, Scilly is a vital landfall for migrant birds from both east and west, and is therefore Britain’s premier site for rarities, even surpassing the legendary Fair Isle! Now that takes some doing. At least 426 species have been recorded, including numerous firsts for Britain, and at least 25 species of American passerines, such as Red-eyed Vireo, Grey-cheeked Thrush and Blackpoll Warbler. With so much dependant on the weather, you never know what might turn up next, which adds to the excitement of birding here and now, but annual rarities include such delights as Wryneck, Richard’s and Tawny Pipits, Bluethroat, Barred and Yellow-browed Warblers, Red-breasted Flycatcher, Rose-coloured Starling, Common Rosefinch and Ortolan Bunting. 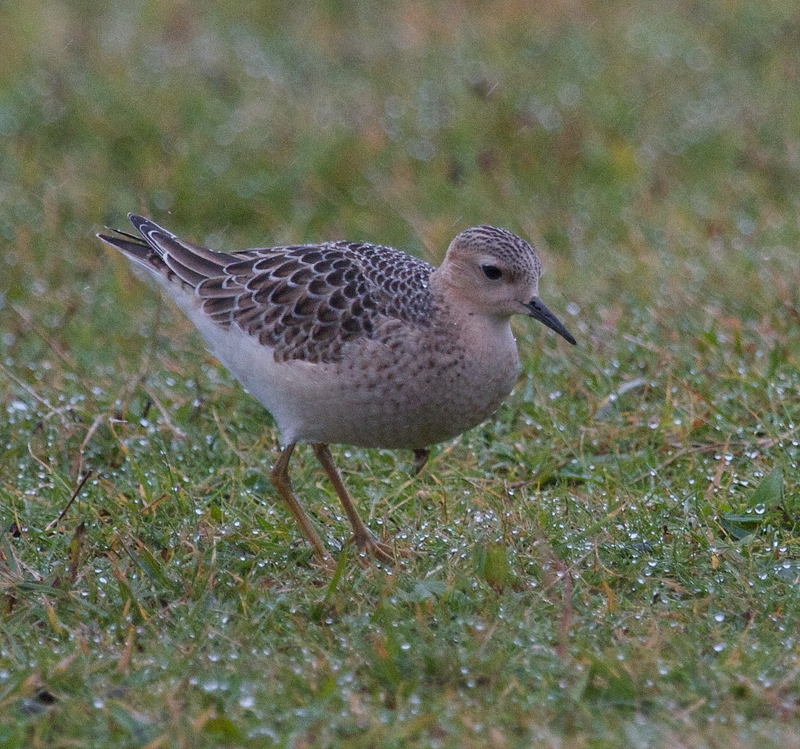 Our previous four trips have produced top quality birds from Europe, Asia, North America and even the south Atlantic including Black-necked Grebe, Manx, Balearic and Sooty Shearwaters, Common Scoter, Water Rail, Dotterel, American Golden Plover, Jack Snipe, Long-billed Dowitcher, Pectoral and Buff-breasted Sandpipers, Little Stint, Grey Phalarope, Great Skua, Mediterranean and Little Gulls, Buff-bellied Pipit, Grey-cheeked Thrush, Yellow-browed, Subalpine, Arctic and Bonelli’s Warblers, Firecrest and Ortolan, Lapland and Snow Buntings! Such is the excitement of Scilly birding. The excitement begins with an exhilarating scenic flight to St. Mary’s, where we shall be based at The Wheelhouse, a lovely four star guest house right on Porthcressa beach, with excellent reviews on Trip Advisor. The guesthouse was very popular with my clients in 2012, 2013 and 2015, and is just a few minute’s walk from Hugh Town quay which is the hub of the archipelago. Small ferry boats radiate from here to the other inhabited ‘treasure’ islands of Tresco, St. Martin’s, St. Agnes and Bryher. We shall need to keep the itinerary flexible, according to news of which birds turn up where, but we should have plenty of time for a thorough exploration of St. Mary’s, as well as for visits to most, if not all, of the other inhabited isles, which we shall also explore at a relaxed pace, as some of the coastal paths require us to be moderately fit. At the end of each day we shall return to our guest house for a brush up, before dinner in one of the excellent nearby restaurants in Hugh Town, followed by a relaxing evening looking back at the day’s highlights, while anticipating the excitement of the next day to come. Please note that to secure this highly sought accommodation and seats on the small plane, it is advisable to book your place as soon as possible. In case we are delayed for any reason, you need to be insured to cover the cost of additional accommodation and travel. Cost £1195 Only one place left. Return flights from Exeter to St. Mary’s with Skybus, seven nights’ bed and breakfast en-suite accommodation, transfers between St. Mary’s airport and the guest house, all boat excursions in the Scillies, bird checklist, bird text alert and services of your guide.